With so many online slots games available, there is constantly something new to play. The same can be said about the variety of online slots sites out there. In this guide to new slots online, we will cut through the clutter and show you the best new online slots. From the most popular types of new slots, to the games themselves, there are plenty of new games to enjoy. What are the most popular types of new slots in 2019? When it comes to the most popular types of new slots in 2019, players have an interesting taste. Much like their pop culture preferences, people tend to want a spin put on their old favourites. In the case of new slots online, this means variations of game types that they know and love. Usually this comes in the form of what content is found in the game itself. These tried and true slot game types are still the most popular game types for new online slots. Slots are always fun, but 3D slots have the ability to make them even more exciting. With the ability to turn a spin into an interactive game, 3D slots have been a favourite among players for a long time. Today, their capabilities are stronger than ever, with more sites incorporating 3D slots into their arsenal. For that reason, they are one of the more popular new game types of 2019. Progressive slots have really had their popularity increase online over the years, and it isn’t hard to see why. With sites being able to offer progressive jackpots that increase with spins from all over the world online, players know they have the chance to win huge payouts that are constantly getting bigger thanks to a world full of peers. This makes every spin feel more exciting, and is why progressive slots are so popular. Playing off of the recent popularity of online games like Clash of Clans, Castle Builder is a fun way to get medieval. The game’s object is to spin your way into building various castles. Of course, the more successful your spins, the more successful your castle building. From there, this new online slots game requires you to pick a prince for a princess. Your choices can lead to sizable bonus payouts, depending on who you choose. Both fun and interactive, this game is definitely worth checking out if you are someone who enjoys the medieval genre that has swept pop culture of late. The format of Finn and the Swirly Spin may be the most interesting of any online slots game out there right now. Instead of a standard game where spins are completed on reels, this game sends symbols along a swirl path. The goal is to get a key into the middle of this swirl pattern, which unlocks the proverbial door to bonuses. Just the act of the symbols taking a different path during each spin makes this game one of the more interesting new slots online. It also doesn’t hurt that the game is very visually appealing as well. Another game that does not follow the conventions of a standard reel slots game is Well of Wonders. In this game, a set of symbols comes out of a well in the middle of the screen. If three or more of them match, they disappear while new symbols show up. If that continues to happen, a multiplier increases, upping the value of each successive winning combination. 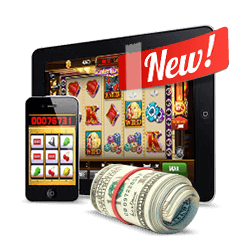 When it comes to new slots online, non-linear patterned games are becoming more and more popular. Well of Wonders is no exception, thanks to its twist on the game that makes it almost like it isn’t slots at all. What is fun about Planet of the Apes is that it features two sides of slots action. Those two sides are named after two of the many films in the series, Rise and Dawn. And while Dawn is ironically darker in colour than Rise, the game is fun nonetheless. With 10 columns, the game is essentially broken into two separate slots games. This means double the spins at the same time and double the chances to win with each spin. And with a soundtrack fresh out of an action scene, the game will keep your heart pounding with every single spin. Everybody loves emojis, including fans of new slots online, apparently. Emoji Planet takes everyone’s favourite faces and puts them into slot form. The best part is that different faces or symbols cause different happenings within the game. Like a bomb emoji that blows up the board and brings an entirely new set of symbols into play, for example. This is an extremely fun way to play slots, all while giving an entirely new meaning to the little symbols you use on your phone every day. This is a very fun spin on pop culture based slots, which are usually focused on movies or television instead. When it comes to the best slots sites for playing new games online, there are a number of different criteria to consider. What devices you like to play on, what types of games you like, and the variety of games are all things to consider. Also worth considering is what kind of bonuses you want to take advantage of when you sign up. 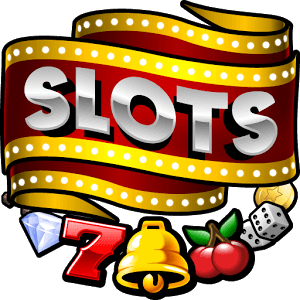 Most online slots sites can stake a claim to one of those criteria, so which site you should play new slots online with is a matter of preference. Casumo, for example, has a great mobile site. Meanwhile, Casimba has one of the best slots bonuses in the industry by far. Most sites have a great variety of games at this point, but which games you like best can tilt your decision in a number of directions. In all, there is no right or wrong answer when it comes to picking the best slots site. 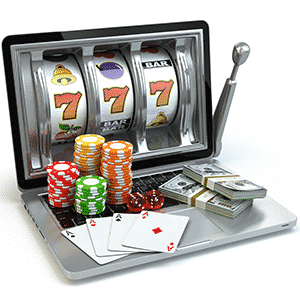 How To Play Slots Online: How Do Online Slots Work & More	Online Slots Bonus: What Are The Best Slots Bonuses?